Education sector is expected to grow at an average annual rate of over 18 per cent to reach Rs 232,500 crore (US$ 34.87 billion) in next 10 years. Children these days are super smart and are well aware of the power of internet. The sudden boom of internet connectivity has paved ways for the tutors in more ways than one. 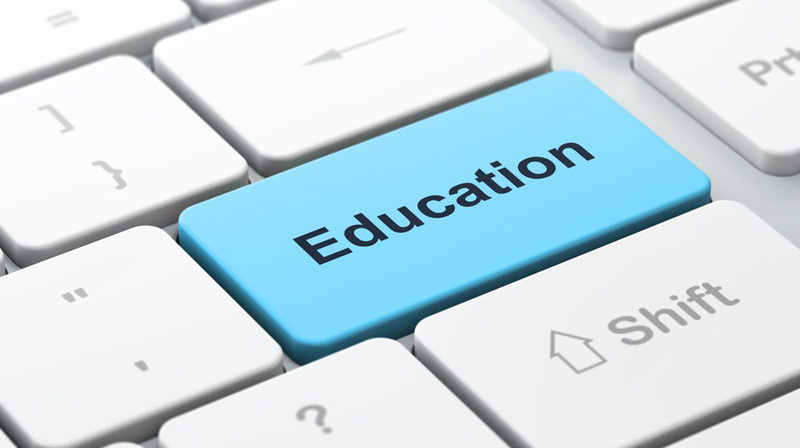 Education system in India is undergoing a rapid expansion. There can never be a better period than this for the Edupreneurs to jump on the line and make their presence felt. The IBEF study says at present, higher education sector witnesses spending of over Rs 46,200 crore (US$ 6.93 billion), and it is expected to grow at an average annual rate of over 18 per cent to reach Rs 232,500 crore (US$ 34.87 billion) in next 10 years. This study reveals that education sector holds a huge inflow of business opportunities as well as new ideas to invest in education business. After a thorough market study, you will be able to figure out what you are going to offer to the customer or students. If you happen to be the master in that subject, then universe has just plucked stars and dropped in your lap. Or if it contradicts, then it is no rocket science, you just have to hire the right people, who can teach the students online or who can help you in preparing study material for the students as well in those subjects. There has to be one office wholly dedicated for the online tutorial or E-learning business, from where you can set up cameras to record lectures, which can further be sent online for students. You will have to store research materials for reference to sort out students’ doubts. Some also conduct experiments in science subjects, to help the students learn well and to help you concentrate on work. Moreover an accountant space and teachers’ space will also need to be set up. Try to begin with a low margin fees, which will attract more and more students. The competition in this business is cut throat, so try to go from the bottom stairs, as it picks up pace, you can increase the amount half yearly or annually. Tactics such as usage for first month is free or initial chapters can be given for free so that the students can make plans for further investments or they can convince their parents to encourage E-learning business. Start any business quality mark is important, which is why incase of education especially in when you start E-learning business, make sure you do not commit silly mistakes or provide under quality education. There are too many players in the field who are waiting for your one mistake, so that they can push their E-learning business further over your rubble. It is in a way the main link, which will either make or break your brand. People notice the change in their children’s progress report. Let people know about your business venture through different advertisements and marketing strategies. Social media is the best platform to put the brand across for promotion as half the youth is online, from students to parents till teachers. Newspaper ads, radio ads and posters too play a vital role in authenticating the brand as well as it keeps reminding them to give a thought to this idea. Moreover when you become a brand in E-learning business, people will chase you to make their advertisement run on your website. Café Udupi Ruchi, is a restaurant which will provide the..
What 2019 has in store for MSMEs?.. Challenges in The Dairy Sector Business..
Three Education Biz Opportunities in Nepal..
​Business Opportunities in Metropolitan Cities.. Scope of After School Activity Business..
Top 5 Business Opportunities for Edupreneurs..
Three Profitable Digital Marketing Strategies.. Potential of Wellness Tourism Industry..
How Can your Restaurant be Tech-Friendly.. Tips to embrace Digital Mindfulness.. Helping to Build a Wealthy Nation..
Impact Of Crowd Funding in Heathcare Industry.. The Future Ahead with Wellness Apps..